Anna Hrebien - Edmonton's Burial & Cremation Professionals | Trinity Funeral Home Ltd. 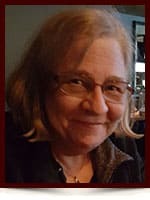 It is with great sadness and heavy hearts that my Family and I inform you that My Mom, Anna Hrebien passed away on September 20th, 2015 at the much too early age of 61 years young after a battle with Lung / Brain Cancer. Anna passed away peacefully while in the care of the Norwood Hospice in Edmonton. A gathering of family and friends was held at the Trinity Funeral Home in Edmonton on Saturday September 26th 2015 and she was committed back to God and was laid to rest at the Holy Cross Cemetery in Edmonton on Monday September 28th 2015. She is survived by her Son John Paleologos (and Family), her Mother Yvonne Hrebien (Besner), her Brother Harry Hrebien (and Family) and her Sister Terry Hrebien (and Family). She was pre-deceased by her Father Michael Hrebien in 1998. Hail Holy Queen, Mother of Mercy, our lives our sweetness and our hope. Turn then most Gracious advocate, Thine eyes of mercy toward us and after this – our exile – show unto us the blessed fruit of Thy womb Jesus. O clement, O loving, O sweet Virgin Mary… Pray for us O Holy Mother of God, so that we may be made worthy of the promises of Christ. We would like to say our condolence to the family of Anna Hrebien God be with you always we loved anna just like she was a sister and a aunt and a very very best friend it’s going to be very hard to live without you but I know God took you home cause he didn’t want to see you suffer any more but we will see you again my sweet friend.